Photo of Alfred Scudder, assistant to Professors Stephen Alexander and John Schanck, and janitor of Clio Hall. Scudder, Alfred N. C. ("Buck") -- Scudder was an African American who assisted both Professor Joseph Henry and Stephen Alexander. 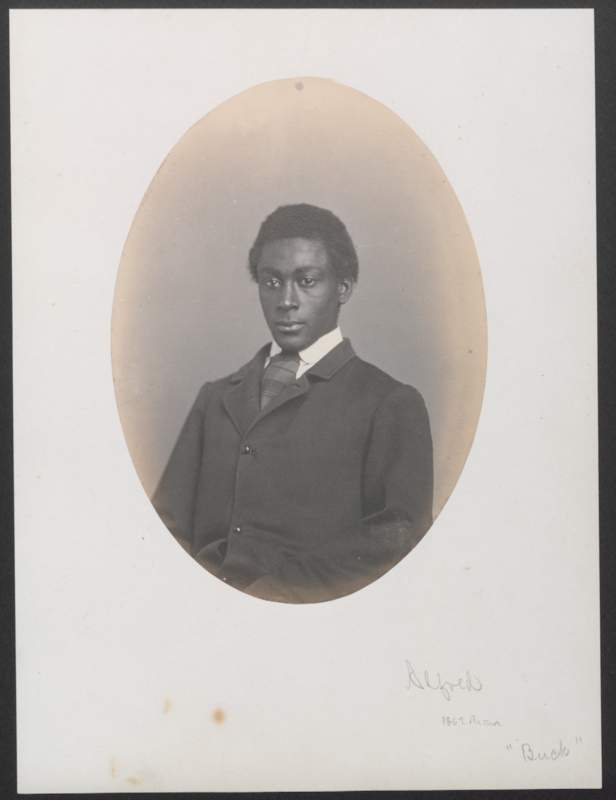 ; 1862; Historical Photograph Collection: Individuals series, Box AC067.LP001, Folder 035; Princeton University Archives, Department of Rare Books and Special Collections, Princeton University Library.